Ford today introduces the all-new Ford F-150, the reinvention of America’s favorite truck. 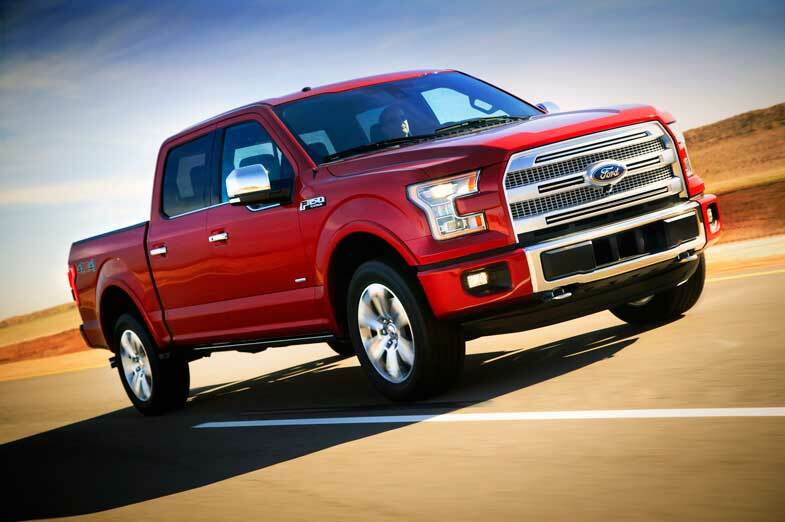 It is the toughest, smartest and most capable F-150 ever – setting the standard for the future of trucks. The all-new F-150 delivers an impressive combination of power, capability and efficiency – from advanced materials that improve durability and inhibit corrosion, to faster processors that enhance driving performance, to breakthrough cargo management and towing solutions. F-150 is part of the Ford F-Series truck lineup, America’s best-selling truck for 37 consecutive years and America’s best-selling vehicle for 32 years. In designing the backbone of the F-150, Ford engineers improved the truck’s signature fully boxed ladder frame. It is all-new with more high-strength steel than ever – making it stronger and lighter. 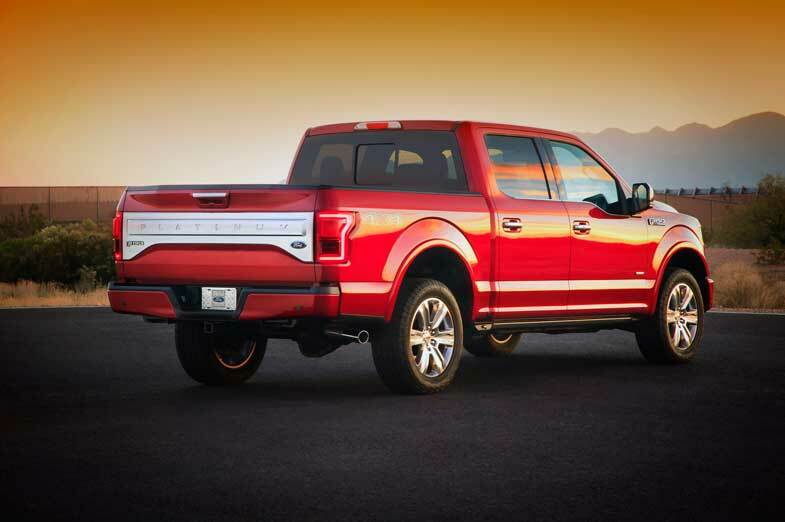 High-strength, military-grade, aluminum alloys – already used in aerospace, commercial transportation, energy and many other rugged industries – are used throughout the F-150 body for the first time, improving dent and ding resistance and also saving weight. Overall, up to 700 pounds of weight have been saved, helping the F-150 tow more, haul more, accelerate quicker and stop shorter, and contributing to efficiency. 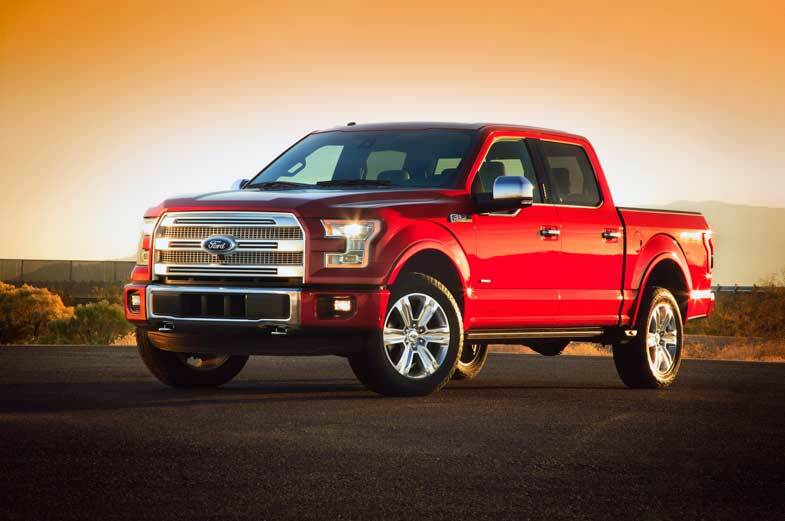 The 2015 Ford F-150 is the strongest and most durable F-150 ever. Before it goes on sale, it will have been torture-tested in labs, at Ford proving grounds and in the hands of some of Ford’s most demanding truck customers for more than 10 million miles. The grueling testing simulated the demands Ford’s customers will subject the truck to throughout its average lifetime. The tests include crisscrossing the country pulling heavy trailers and hefty loads through desert valleys and over high-altitude mountain passes – in temperatures from 20 degrees below zero to 120 degrees Fahrenheit. 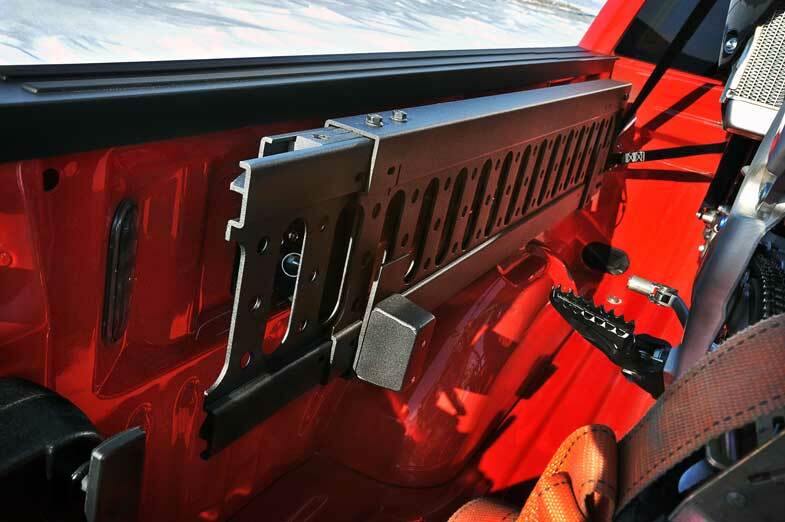 Customers using the F-150 for construction, mining and utilities have tested and helped prove out its high-strength aluminum-alloy cargo box. A disguised new Ford F-150 even raced in the Baja 1000, where it earned the distinction of completing all 883 grueling miles while some other purpose-built race vehicles could not. To perform in these challenging conditions, the frame uses high-strength steel rated up to 70,000 psi – stronger than the steel found in some competitors’ heavy-duty pickup truck frames. Eight through-welded crossmembers provide increased stiffness, while staggered rear outboard shocks provide greater stability. They join available driver aids, including SYNC® with MyFord Touch®, hill start assist, MyKey®, rear view camera, reverse sensing, trailer brake controller and extendable tailgate step. A range of four engines provides more power to meet almost any customer need. A new 2.7-liter EcoBoost with standard Auto Start-Stop and a 3.5-liter V6 engine with twin independent variable camshaft timing join the proven 3.5-liter EcoBoost and 5.0-liter Ti-VCT V8. The 2.7-liter EcoBoost engine features a lightweight, compact design to deliver the same power as some mid-range V8s. Auto Start-Stop technology helps save fuel. Unlike start-stop solutions in other vehicles, this technology – specially tuned for truck customers – shuts off the engine to save fuel when the vehicle is stopped, except when towing or in four-wheel drive. The engine restarts in milliseconds when the brake is released. When it goes on sale late this year, the all-new Ford F-150 will continue the tradition of offering the broadest selection of trim levels in the full-size pickup segment. Five primary trims are available: XL, XLT, Lariat, Platinum and King Ranch. Chrome appearance packages are available with XL, XLT, Lariat and King Ranch. Monochromatic sport appearance packages are available with XL, XLT and Lariat. 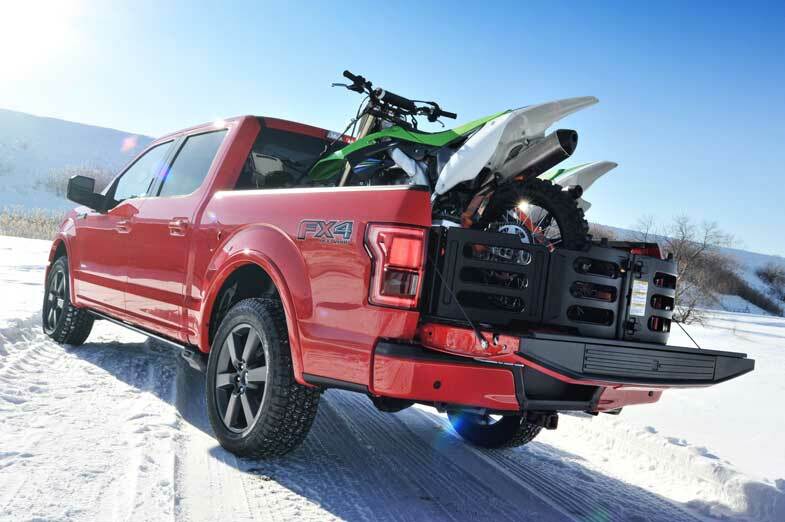 The FX4 off-road package can be added to most four-wheel-drive models, improving trail capability with an electronic locking rear axle, skid plates and off-road-tuned shocks. Both the exterior and interior design of Ford F-150 reflect decades of listening to customers and understanding their occupational and recreational needs. The exterior is characterized by a new shape that suggests capability, with a wider Built Ford Tough stance, prominent wheel arches and chiseled grille. Comfort, utility and refinement define the truck’s interior. Ergonomically optimized seating for the front row positions enhances comfort, while extending legroom for rear passengers. Buttons and controls are optimized so they can be operated while wearing work gloves. Storage options include laptop stowage in the center console, as well as quick storage solutions for cellphones, drinks, pens and business cards. “Once again, the Ford F-150 establishes new standards in durability, capability, technology and efficiency to help F-150 owners be more productive 24/7 – whether for work or weekend fun,” said Nair. The F-150 will continue to be manufactured at Ford’s Dearborn Truck Plant in Dearborn, Mich., and Kansas City Assembly Plant in Claycomo, Mo.